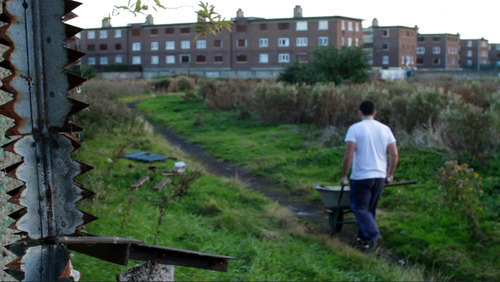 Come Into The Gardens is the result of a collaborative ‘Artist in the Community’ project headed up by Outlandish Theatre Platform. 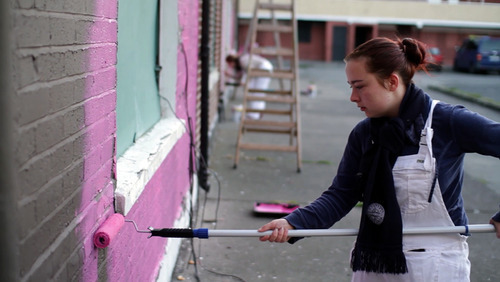 The film is a series of seven portraits of people within their physical environment of St Theresa’s Gardens, a place and a community which missed out on large scale regeneration and has been left a ghost town. 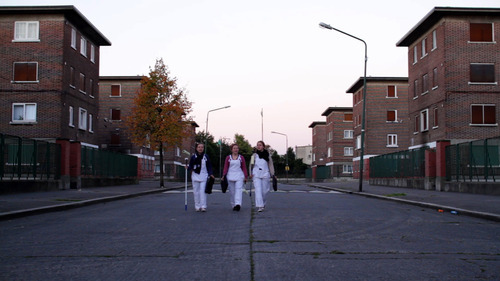 Come Into The Gardens will have its premiere at The Jameson Dublin International Film Festival on February 15th in screen 1 of The Lighthouse cinema in Smithfield. 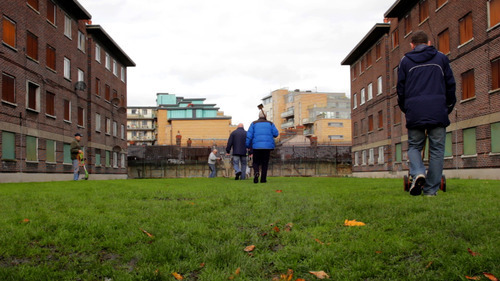 As St Theresa’s Gardens prepares to be demolished and redeveloped, Come Into The Gardens takes a look at the knock on effect this has on a once vibrant community as they come to terms with their displacement. 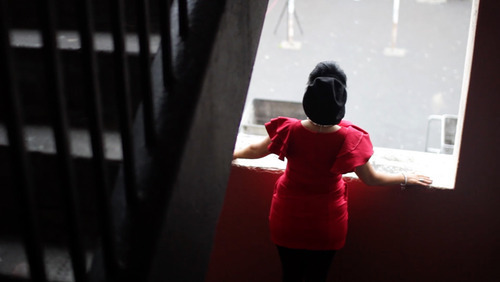 We began filming at 6am on the 5th of October 2012 with the first of our seven portraits. It was a cold and frosty morning but the location was great, the light was perfect and our cast of non actors was rearing to go. 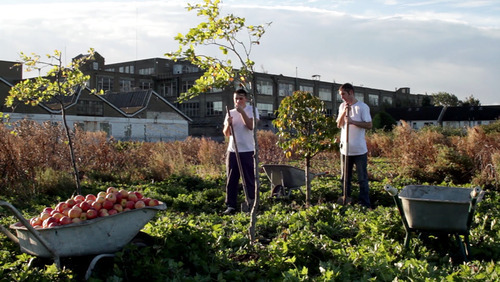 Our actors got stuck in, wearing light white t-shirts and planting apple trees in the abandoned fields behind the flats. 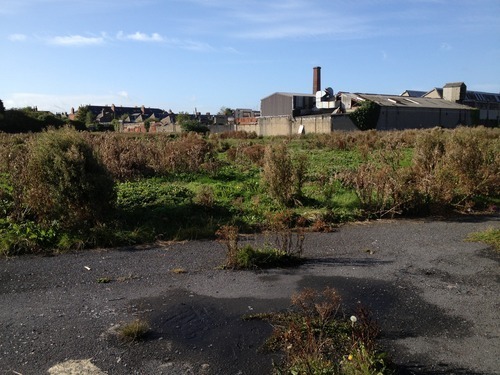 These fields were once two massive football pitches where the kids would play until they were re-zoned for development which never happened. 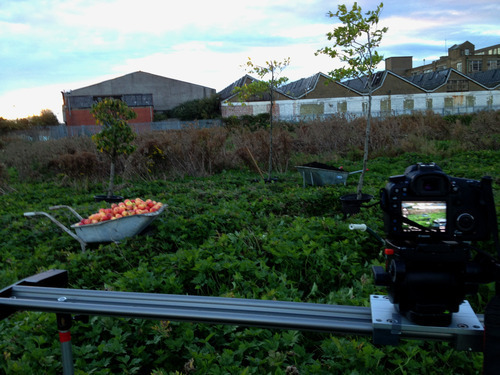 We followed up our first shooting day with a 6am start the very next day, the 6th of October 2012. 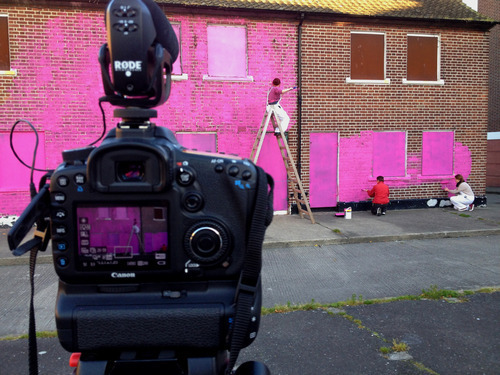 For this shoot our location was the flats themselves as three local girls made a statement by painting houses pink before they were demolished later in the year. This was their way of highlighting that the young girls in the flats also had a voice that needed to be heard. This was a long day of filming as the girls took on quite a mammoth task. 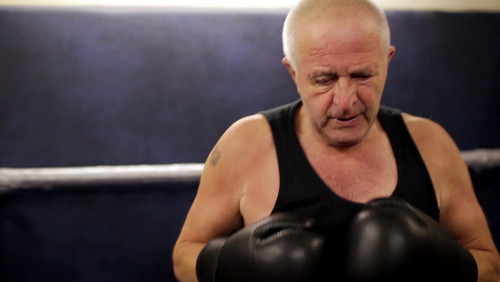 Other locations included the gardens themselves, interiors of houses and the local boxing club. 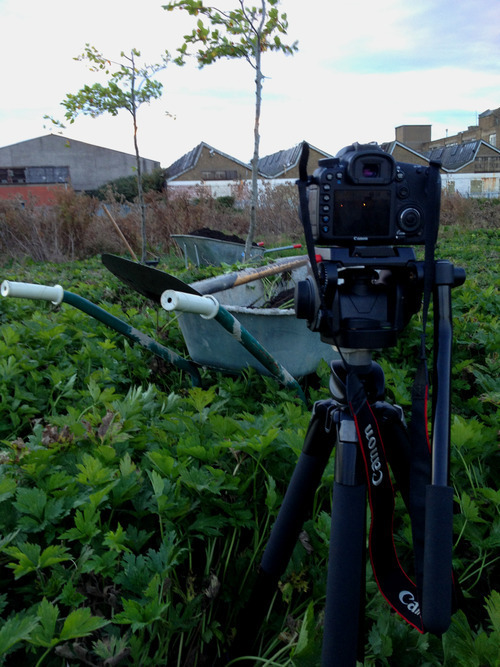 The film was shot on a combination of the Canon 7D and the Canon 550D. There was no colour grading done in post. 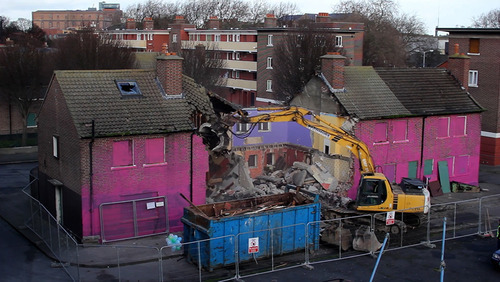 I preferred to maintain the colours we captured on the day as it gives a more documentary feel to the piece.